Step 1: You gotta take care of you. You see, us, as individuals are the biggest factor of why we are either happy or unhappy. In my opinion, positivity and being happy is always the way to go. Step 2- Patience is super important. All of your hard work (assuming your putting in hard work to whatever you’re doing) will pay off soon enough. A great quote is “Overnight success usually takes about ten years.” Think about your favorite comedian, actor or brand owner, they didn’t just become an instant success. They put in a ton of hard work which is usually not seen or talked about. They were probably doing open mics and telling jokes at bars and clubs or designing products, making a website, researching like crazy 24/7, all while working at a job. Step 3 – Now, let’s be honest here, most of the time, when we’re feeling miserable and negative, it’s because we’re doing it to ourselves. We have to stop constantly thinking about how this person did this to me or of all people why’d this happen to me, or maybe how your life didn’t turn out the way you hoped it would. Negativity like that…worrying about things that probably won’t even happen and judging yourself — just keep us down and unhappy. It’s important that we are able to move forward. When you find yourself thinking negatively, stop and change your thoughts because after a while of doing this, you will see that thinking positively will come more naturally to you. 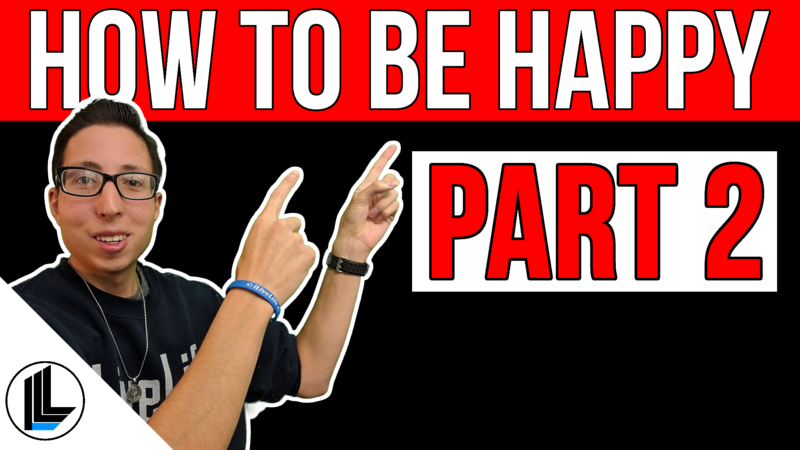 There is an Extra BONUS 5 ways to be happy in my video (LIVE Replay)!